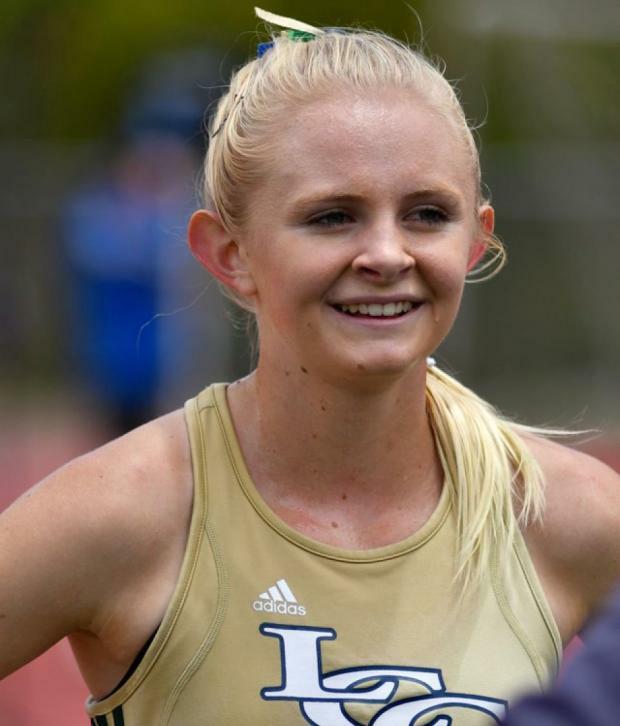 SAN DIEGO -- It has been three long years since the San Diego Section had someone climb to the top of the victory stand at the California State Track and Field Championships. The 100th anniversary of this meet would be a good time for a breakthrough. The chances are better than most because this has been a better-than-average year for the border section and not just in one or two events. Memorial Stadium at Buchanan High in Clovis last saw a San Diego Section champ in 2015 when Oceanside discus thrower Charles Lenford hit 195-feet, 4-inches to claim the gold medal. Here is a look at those who have the best chances and a couple of athletes who could pull one of those annual shockers. 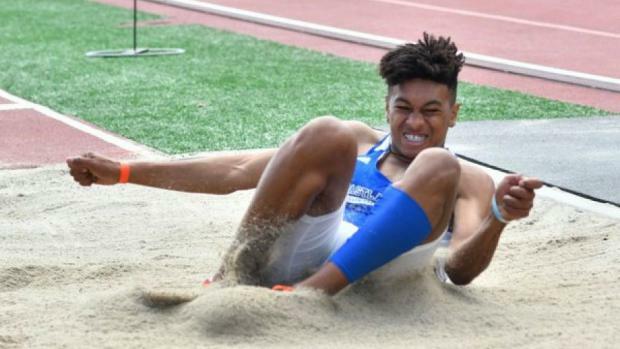 Since Eastlake High's Jalyn Jackson captured the silver medal a year ago in the long jump and made the podium in the triple jump, there is little doubt he is one who would go off at short odds if betting were permitted. Jackson, who is headed to Cal, is the leading qualifier with his 24-feet, 10-inches in the section championships which was aided by a 2.3 mps breeze-hardly a hurricane. He started the season at 24-5.50 and had been amazingly consistent over 23-6. And that might not even be his best event. The consummate big-meet performer, Jackson captured the Arcadia Invitational in the triple jump with a 49-10.25 and has been beyond 49 feet on numerous occasions. He isn't the state season-leader in either event but he improved over a foot in the triple in this facility a year ago and he clearly will not be intimidated by anyone. On the girls' side, two young ladies could make it to the top of the victory stand and no one would be shocked. Coronado High junior Alysah Hickey is right in the mix in two events that could well be going on at the same time-the high jump and long jump. The Arcadia Invitational and Mt. SAC Invitational high jump champ has cleared 5-10, just an inch behind the state leader. She's had several close misses at higher heights. Taking up the long jump for the first time this year, she'll try to use her 11.87 100-meter speed to get over 20-feet after going 19-10.50 with a 2.3 mph wind in the section championships-one of two jumps over 19. San Diego athletes in the sprints and jumps are well aware the 90-plus degree heat that the distance runners abhor relaxes their muscles, producing superior efforts. Hickey will be busy running the 4x100 relay and 100. Don't be surprised if La Costa Canyon's McKenna Brown (Clark Kranz photo at right) is in the mix in either the 1600 or the 3200. Although she ran the last two weeks with a cold, if she recovers she is certainly in the mix with best times this year of 4:45.46 and 10:15.97, the latter a section record on a solo run where she lapped most of the field. In the past, the section had done pretty well with athletes who are given an outside chance. Runners like Riley Washington (see the meet record in the 100), Meb Keflezighi and Kira Jorgenson have been the exception. So, here are a few candidates should things fall their way. The section picked the wrong year to produce a pair of 16-foot junior pole vaulters led by San Dieguito's Kevin Ward (16-5 last week with a near-miss at 16-9) and Rancho Bernardo's Jacob Rice (16-3 the week before). Most years that be good enough to be considered but not this year, not with Davis' uber-consistent 18-footer Sondre Guttormsen. Now, should Guttermsen stumble (he also is a medal contender in the 110 hurdles), well anything could happen then. If nothing else, victory stand performances would bode well for next year. 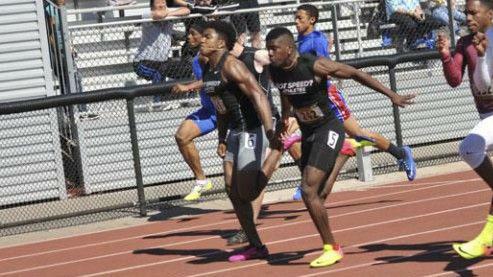 Yucaipa's Asani Hampton (10.26 wind-legal PR, CA #2 all-time) has been the front-runner in the sprints but San Diego has a couple of pretty fair runners, too. Madison junior Kenan Christon, who looks like the football player he is and runs like a rabbit, and Mt. Carmel junior Quoi Ellis, who finished third in the state 200 last year, have been battling back and forth with Christon winning the 100 at the section championships and Ellis talking the 200. The difference in the 100 was .04 with Christon running 10.68. In the 200, Ellis' margin of victory was .01 as the two led the state qualifiers at 21.19 with help of a 2.5 mps wind. Ellis ran down Christon in the 200 and if he gets a good start, look out. Rancho Bernardo's Josh Farmer and Vista's Alia Scott come in fifth-seeded in the 300 hurdles and El Camino shot putter Nu'u Tuilefano could be a top three finisher if she tops her season best of 44-5.